​I am a Professor and Research Chair in Climate & Health at the Priestley International Centre for Climate at Leeds University, and a Royal Society Wolfson Research Merit Scholar and former Canadian Institutes of Health Research Chair in Global Health and Environmental Change. I hold academic degrees in Geography, Environmental Change, and Epidemiology, and my research focuses on climate change and global health. My interests focus on the climatic and socio-ecological drivers of infectious, vectorborne and zoonotic diseases, particularly using mixed-methodologies. I am the co-editor of the book, “Adaptation in Developed Nations: from theory to practice”. My current research focuses on climate impacts on health, and the policy and practice responses that societies can use to adapt to climate change, globally and within vulnerable populations. I currently co-lead an international, interdisciplinary research team investigating vulnerability and adaptation to the health effects of climate change among remote Indigenous populations in Peru, Uganda, and the Canadian Arctic, funded by the Canadian Institutes of Health Research (CIHR). My second research stream focuses on innovating methods to track national and global progress on climate change adaptation, with an emphasis on systematic evidence synthesis methods. I was a lead author on the 2017 UNEP-DTU Adaptation Gap Report, and am co-founder of the Tracking Adaptation to Climate Change Consortium (TRAC3). I am currently a Lead Author on the Intergovernmental Panel on Climate Change (IPCC) Assessment Report 6 (AR6), Working Group II. Sherilee Harper is an Assistant Professor in the Department of Population Medicine at the University of Guelph. Her research investigates associations between weather, water, and Indigenous health in the context of climate change, and she collaborates with Indigenous partners to prioritize climate-related health actions, planning, interventions, and research. 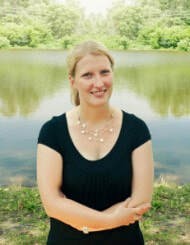 She is currently a collaborator in an international research initiative called the “Indigenous Health Adaptation to Climate Change” (IHACC) project, which works closely with Indigenous peoples and their organizations in the Canadian Arctic, Ugandan Impenetrable Forest, and the Peruvian Amazon, and she is also a co-investigator on the “Indigenous Peoples Adapting to the Health Effects of Climate Change” (IK-ADAPT) project. Sherilee currently sits on the Editorial Board of Epidemiology and Infection. Dr. James Ford is a Professor and Research Chair in Climate Adaptation at the Priestley International Centre for Climate, where he leads the Climate Change Adaptation Research Group. He is originally from Manchester, England, and did his BA and MSc at Oxford, PhD at Guelph, before moving to Montreal in 2006. In 2017, he moved to the UK to take up a position in the new Priestley Climate Centre at Leeds. He leads a diversity of initiatives, including projects focusing on Indigenous peoples and climate change, examining ways to create ‘usable’ science, developing novel approaches to tracking climate change adaptation at global and regional levels, developing systematic review approaches in an environmental change context, and he is involved in adaptation monitoring and evaluation debates. 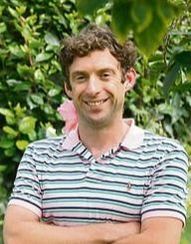 James is currently an editor at the journal Regional Environmental Change, and contributed widely to the human dimensions scholarship. 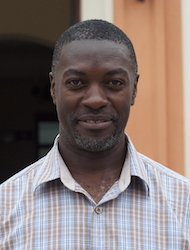 Shuaib Lwasa is an Associate Professor in the Department of Geography at Makerere University. Shuaib has aPhDin Land Management from Makerere, a Masters in GIS for Urban management applications, a Masters in Land Use and Regional Development Planning and a Bachelors degree in Geography. Research interests include topics on property rights, environmental management, livelihood systems, spatial planning and vulnerability and adaptation to Climate Change, in both rural and urban areas. He has led multi-disciplinary and inter-disciplinary research teams on applied geospatial technologies in urban and regional planning as well as coupled social and environmental systems. His recent publications have focused on adaptations to climate change, land and property rights, vulnerability assessment, and the urbanization of poverty. Shuaib was the convener and scientific chair of AfricaGIS 2009 in Kampala, Uganda and has been invited for a series of lectures at various universities and diplomatic missions within and outside Uganda. 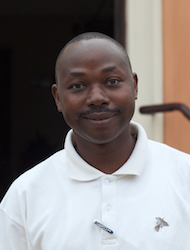 Didacus Bambaiha Namanya has a BA in Geography from Makerere University, MSc. Public Health from International Health Sciences University and now works as a geographer at the Ministry of Health in Uganda where his work involves public health mapping, climate change and policy development. He was hosted as a guest researcher in 2012 in the Department of Geography at McGillUniversity,and is currently due to begin hisPhDin Geography at Makerere University. 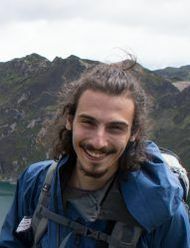 Didacus is a co-applicant with IHACC “Indigenous Health Adaptation to Climate Change” research group, and his current research interests focus on climate change, healthsystemsand Indigenous communities. Carol is a Medical Doctor and holds a degree in the Control of Tropical and Infectious Diseases from Cayetano Heredia University in Peru. She started herPhDat McGill seeking to develop research skills to understand the complexity of the social and environmental factors determining human health outcomes, particularly among Indigenous populations in the Peruvian Amazon. Carol’s thesis, based in Peru, is constructed under the umbrella of the IHACC’s international initiatives. Her thesis investigates the current vulnerability of Shawi Amazon Indigenous people to food insecurity in order to identify potential adaption interventions that might mitigate risks to climate change. Carol believes that medical programs would benefit from an inclusion of indigenous health topics and from further discussions on environmental health issues. 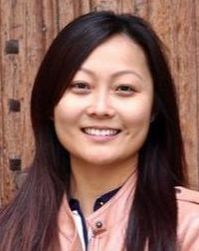 She is currently a fellow in the Global Health Research Capacity Strengthening Program (GHR-CAPS) which is an international and interdisciplinary training program that look to influence global health policies and programs (see for more information http://www.pifrsm-ghrcaps.org/fellows.html. 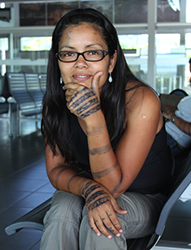 Recently, Carol received an IDRC Doctoral Research Award to conduct her field work in Peru. Each year IDRC holds a competition for the Doctoral Research Award open to Canadians and international students pursuing their doctoral degree at a Canadian university. These awards support field research in developing countries. He is working now to present the project in other venues as well as continue the project with other communities that IHACC works with. Studying and working in the field of health systems research has meant becoming immersed and engaged within a variety of methodologies and settings. I hold a Master of Science in Global Health from Trinity College, Dublin, with a Bachelor of Science in Conservation Ecology and Medical Anthropology from McGill University, Montréal. By continuing to be involved with partners across different disciplines, I have come to understand the value of inter-sectoral coordination and trans-disciplinary collaborations in evolving responsive and sustainable global health systems. Furthermore, I see the operationalization and implementation of findings as a pivotal part to conducting research. My background in ecology and social epidemiology has incentivized curiosity about how we can understand health and health systems in context. Some of my previous research has focussed on social and environmental interactions and adaptions as determinants of health, both at the individual and population level. Moving forward, I am interested to understand how we extend existing health systems to become more locally integrated within community health and social care networks. 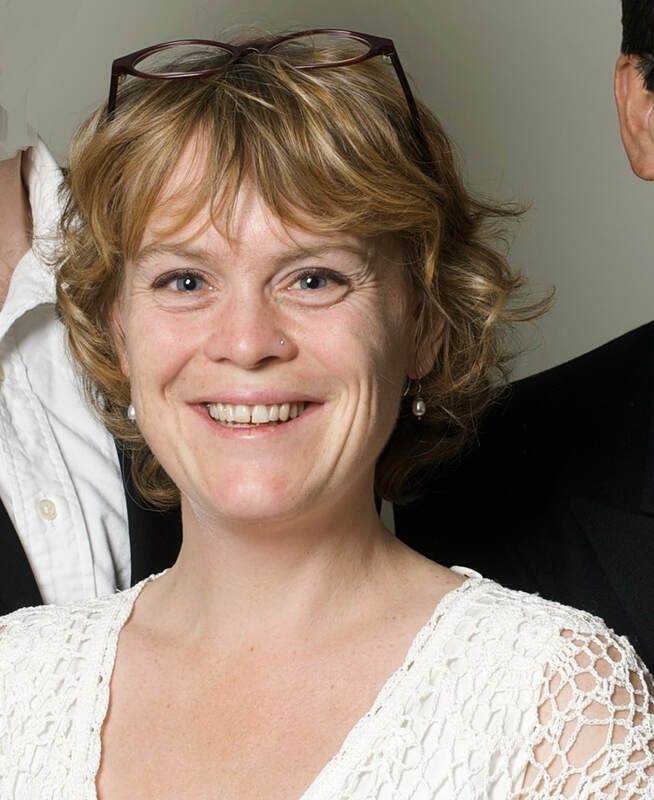 Frances is a full-time Researcher for the Adaptation Tracking Collaborative (ATC). 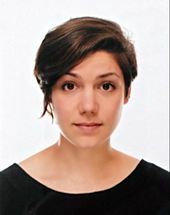 She holds a M.Sc in Environmental Change and Management from Oxford University and a B.A. in Economics from McGill University. She has previously worked on the topics of green growth and behavioral economics at the United Nations Environment Programme, and renewable energy research at Oxford University. By bringing experience in designing urban-level metrics around climate change, her research as part the ATC focuses on developing and strengthening the methodological aspects of Adaptation Tracking through an interdisciplinary approach. Stephanie graduated in May 2013 from McGill University with a Joint Honours BA in Geography and International Development Studies. For her honours thesis and subsequent field research assistantship, Stephanie explored organic agriculture as a sustainable livelihood strategy for farmers in South India. Her research interests include rural development, food security, public health, social determinants of health and sustainable livelihoods. Stephanie was previously Co-President of the McGill Undergraduate Geography Society (2012-2013) and livelihoods intern at the Association for India’s Development in Chennai, India. 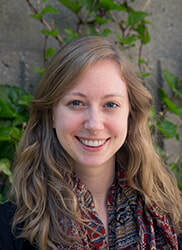 She worked as a research assistant with Professors Ford and Berrang Ford, examining public health adaptation to climate change in Canada and other OECD nations in conjunction with Health Canada and the Public Health Agency of Canada from 2013-2015.